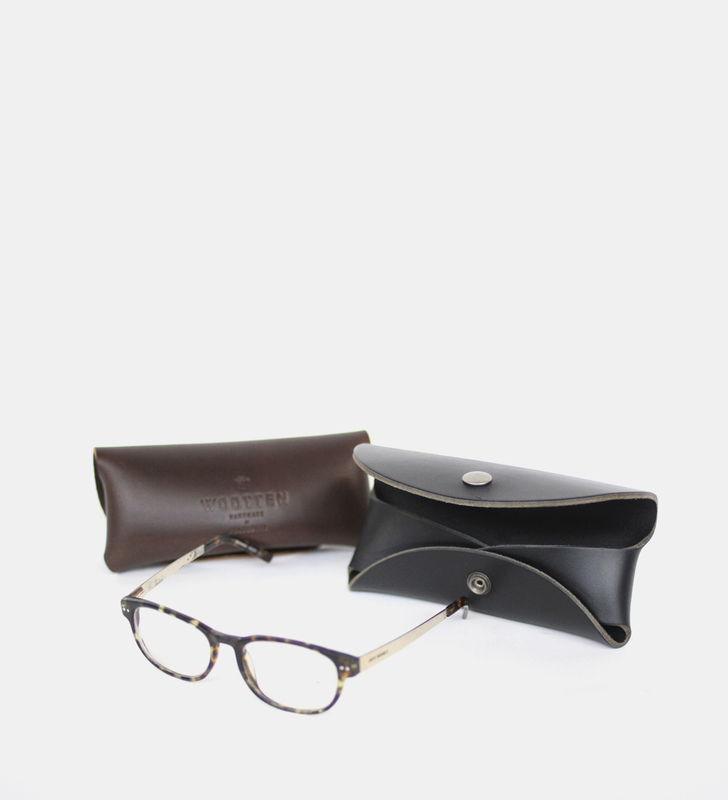 A hard leather glasses case made out of Italian cow. Sealed with a press stud. 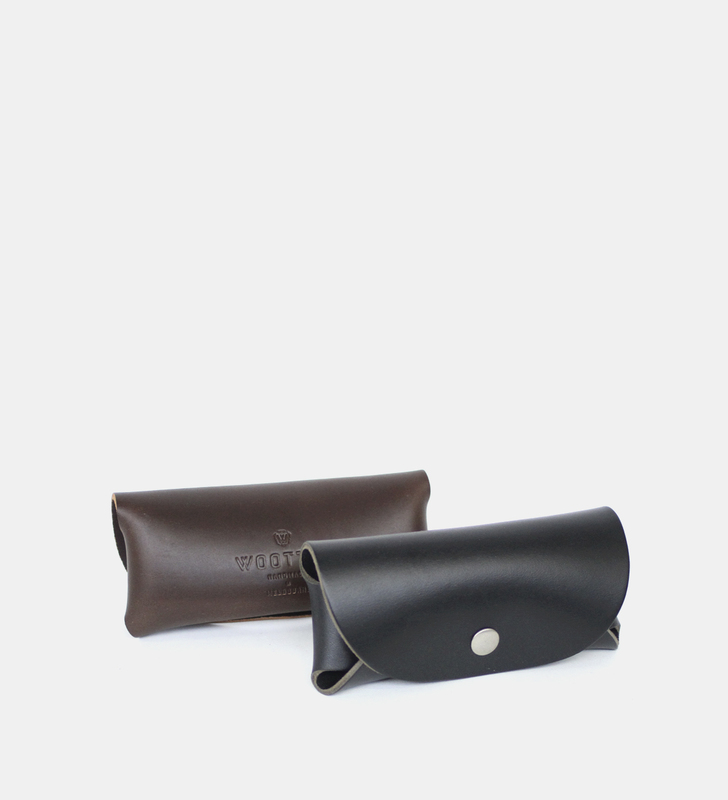 The case is designed to put your glasses in backwards. Case is approximately 16cm long x 7.5cm high.